New York, NY – The former first daughter, Chelsea Clinton, is a passionate mother of two, the vice chair of her mother & father’s foundation and is speaking out on a trend we are following in 2017: Period Activism. As written in our 2017 Consumer Trend Report: Menstruation is having a moment. Activists and everyday women around the world are talk about gender injustices created by how we think and talk about periods. Mrs. Clinton has become an advocate for women around the world by opening up and creating a more candid conversation around menstruation and breastfeeding. In her recently released article, she discusses the initiatives her foundation is supporting to help remove the stigmas around both subjects. These initiatives include No Ceilings: The Full Participation Project, educating young girls on healthy menstruation management, easier access to resources and empowering them to stay in school (1 in 10 girls in Africa misses school because of a lack of resources). As Associate Director of Innovation, Linda is part of a team that uncovers consumer trends and puts them to work to break through the barriers of old thinking, ask “what could be” for clients, and create entirely new possibilities for healthcare experience. She is responsible for championing innovative thinking through the development of authentic content creation, design and execution. 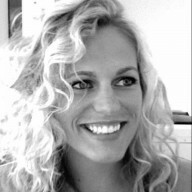 Linda is an award winning Art Director with 8 years of agency experience. She has worked with Fortune 500 companies such as Phillip Morris, Always, Tampax, Vicks, Crest, Herbal Essences, Vidal Sassoon, Target, CVS + Kroger as well as familiar healthcare brands such as Eli Lilly, Alboab Botox, Uloric, Hectoral, Zipsor, American Red Cross.